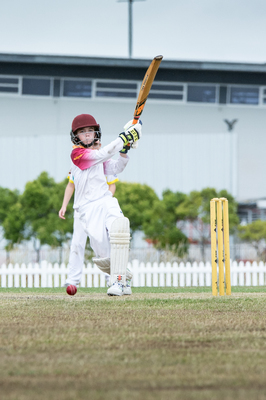 U 14 TNT Thunder player Cooper Hegarty batted strongly on the weekend. U12 Lightning Sat, v Cooroy-Eumundi White at home. Fielding first, an early direct hit run-out from fill in Eddie a rare highlight as catches went just out of reach, CEW amassing 127. In reply, TNT lost early wickets and were not able to recover, Cooper best with the bat taking on the attack. Sun, v Cooroy-Eumundi Green at home. Electing to bowl TNT made a good start, then CEG got into the runs. Suddenly a run out, a wicket to both Ollie and Piyush, then Josh rips in and picks up a hat-trick! CEG finished well to make 120. The loss of another early wicket was steadied by a good partnership from Tom and Cooper continuing his good form, then Bailey, Ollie and Max. A close finish brewing with Bailey teeing off, but TNT lost 2 wickets in the final 2 overs trying to chase the total, falling just short. U13 Storm Sat, v Coolum at home. TNT won the toss and batted first. Best knocks to Ethan Slaney 46, Andy Kelly 24, Lilly Baker 23* and Claudia Toohey 17* saw the Storm to 7/151 after 20 overs. A consistent bowling effort kept Coolum’s run rate in check and along with the continual fall of wickets saw Coolum bowled out for 107, Ethan 3/5, Claudia 2/18. Sun, v Maroochydore away. An even better bowling performance than the day before restricted Maroochydore to 73 after 20 overs. Ethan dominating again with 2/13, with 4 other bowlers taking a wicket each. A superb team batting performance saw the Storm post a total of 167 after 20 overs. Top score to Andy Kelly 28*, supported by Beau Smith 19, Tom Harmer & Finn Mayo 17, Luke Lee 16, and Harry Caspers 14. U13 Lightning Sat, v U13 Cooroy-Eumundi away. TNT were sent in to bat and despite a slow start batted through to be all out for 71. Best batting was Luke Sheppard 20*. TNT then took the field and after the 16th over had CE on the ropes at 7/63. A win was within grasp, but CE had a bit of a flurry at the end which helped them finish with 7/80 and the win. George 2/5 and wickets to Mitch, Harper and Samuel. Sun, v Maroochydore home. Maroochydore settled in very quickly and batted impressively scoring 2/185. Brandon took a wicket and Cohyn effected a great run-out with a direct hit throw from the boundary. TNT had no answer to Maroochydore’s big score and finished bowled out for 59 runs. Best batting was Luke 18 and Lochie with 13. U15’s Sat, v SC Grammar at home. TNT batted first and amassed 3/200, with an excellent 67 run opening partnership setting the platform. Top scorers were Saif Malek 51, Cooper Langan 51, Sam O Neill 42 and Ben White 16*. SC Grammar then struggled against accurate bowling, and slumped to 6/26 before finishing at 7/75, Dan White and Ben White 2 wickets each, a big win for TNT! Sun, v Cooroy-Eumundi away. TNT played a very exciting game against fellow finals aspirants CE just going down by 4 runs. TNT compiled 4/103 with Sam O Neill 19, and Ben White 18. CE were behind the run rate after 10 overs but recovered well to finish at 4/107, Cooper Langan a handy 2/9. 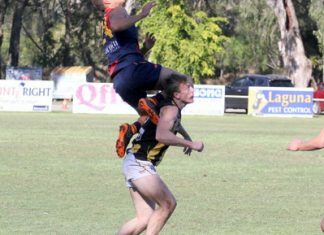 With finals just around the corner and siting in 4th place, U16’s were keen to get wins over other contenders. Sat, v Coolum away. TNT lost the toss and were sent into bat. Early swing on offer for the bowlers, backed up by good catching, resulted in TNT all out for 64. In reply TNT knew early wickets were key, but dropping the best batsman twice proved costly and he ensured Coolum reached the total with 2 overs to spare. Sun, v Caloundra at home. TNT won the toss and chose to bowl and produced a good effort in the field with great tight bowling, Caloundra making 85, Harry S 2/2, Jack S 2/6. A poor start losing 2 early wickets was steadied by partnerships between Cooper, Blake and Ben G. Along with the light drizzle, wickets started to fall, leading to an exciting finish, but TNT fell just 5 runs short.